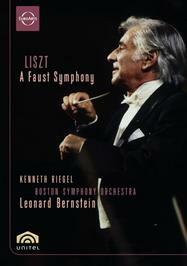 Some consider this symphony to be Liszt's masterpiece. It surely contains one of the most colorful families of leitmotifs in the orchestral repertoire. In fact, each character in Goethe's play is so vividly depicted that you might not be remiss in calling it an opera without words.